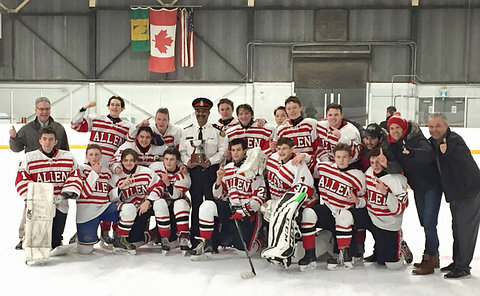 Public and Catholic schools in Etobicoke recently competed in a successful hockey tournament organized by 22 Division School Engagement & Neighbourhood Officers. Constables Bill McLeish and Nicole Sutton conceived the idea to unite the school boards in a spirit of competition and relationship building. 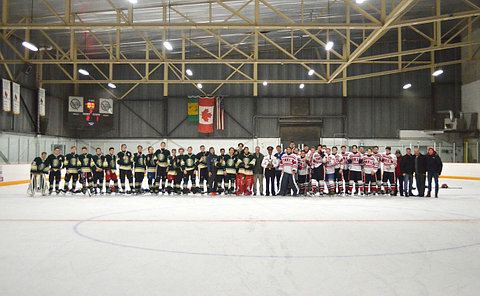 Eight teams comprising students ranging in age from 14 to 17 took part in the tournament at Centennial Arena. In the final, Bishop Allen Academy defeated Etobicoke Collegiate 2-1. “This is a shining example of the innovative thinking our School Engagement & Neighbourhood officers are capable of,” said S/Sgt. 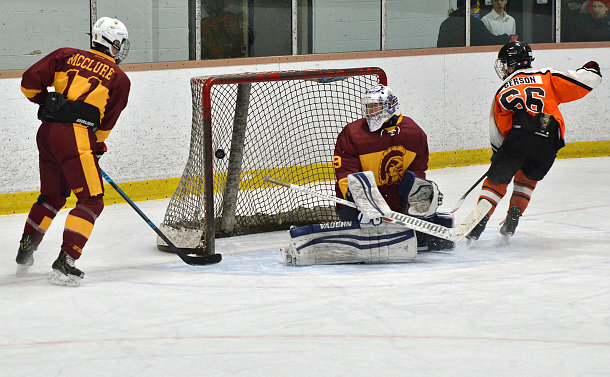 Jeff Alderdice. Insp. 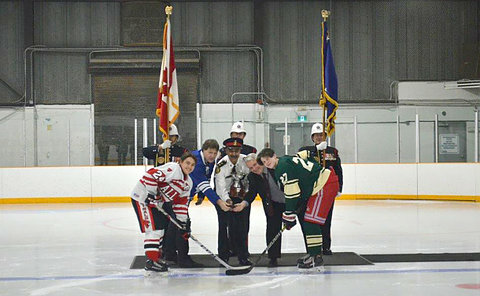 Riyaz Hussein joined Toronto District School Board trustee Dan MacLean and Toronto Catholic District School Board trustee Markus de Domenico and members of the Chief’s Ceremonial Unit at centre ice for the puck drop in the final. “Initiatives such as these go a long way in building trust between the community and the dedicated School & Neighbourood Officers involved,” said Hussein.